Digital pattern for Batgirl's gauntlets created by Costume Designer Roberto Williams. The pattern was designed to work as a final size template for the gauntlets, and as a shape / positioning template for the three Bat-Fins. 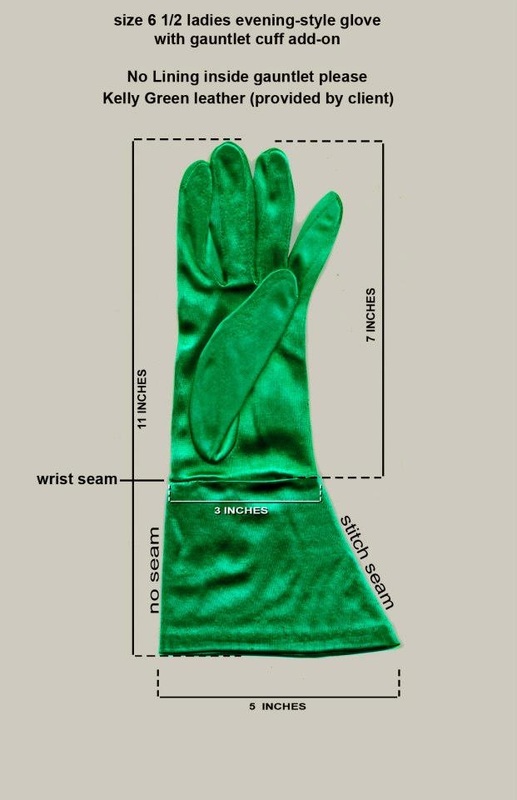 LaCrasia Gloves of New York City were commissioned to provide fabrication services. 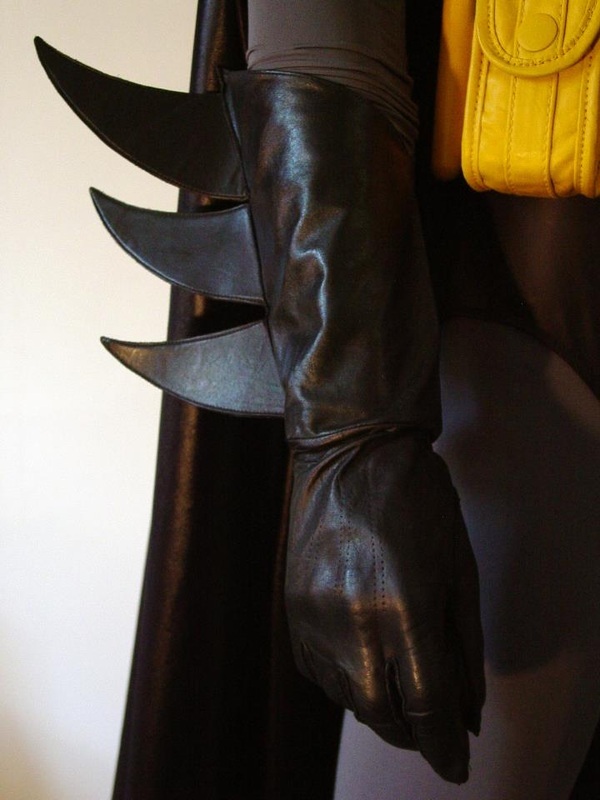 The Batman's final leather gauntlets designed by Roberto Williams, fabricated by Jordon McLeod, Doreen Hunter, and Lacrasia Gloves of New York City. 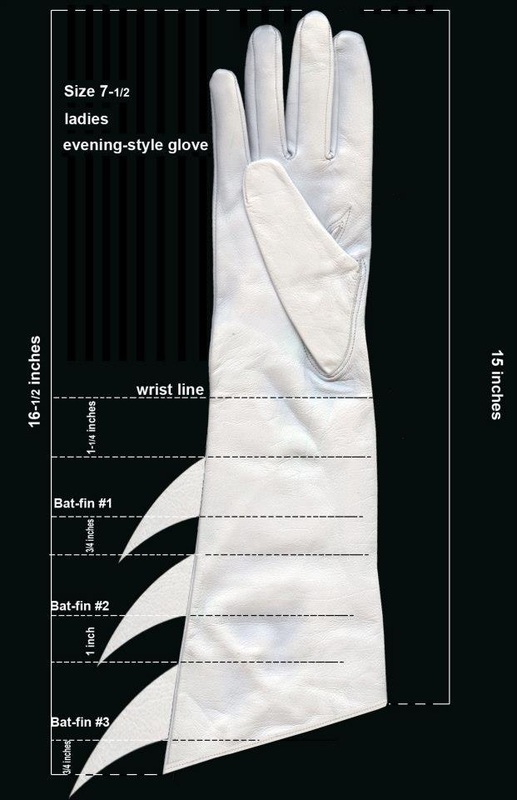 Digital glove pattern by Costume Designer Roberto Williams. This was the pattern provided for the creation of Robin The Boy Wonder's gauntlets. LaCrasia Gloves of New York City was commissioned to provide fabrication services. 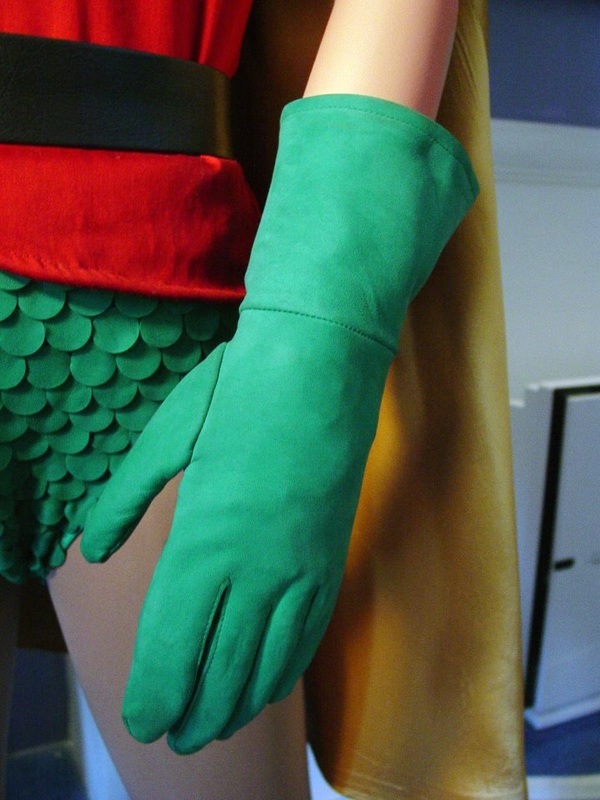 Final suede/leather gauntlets for Robin The Boy Wonder fabricated by LaCrasia Gloves of New York City.